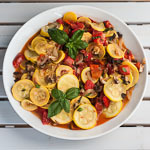 Grilled vegetables have become a favorite at our home, partly because of the flavor and partly because they are often easy to prepare. Our boys help with slicing the vegetables and mixing the marinades, and Michael or I take over at the grill. Here’s how to make grilled zucchini with an herb marinade, as demonstrated by Hockey Guy (9) and Monkey Boy (5). 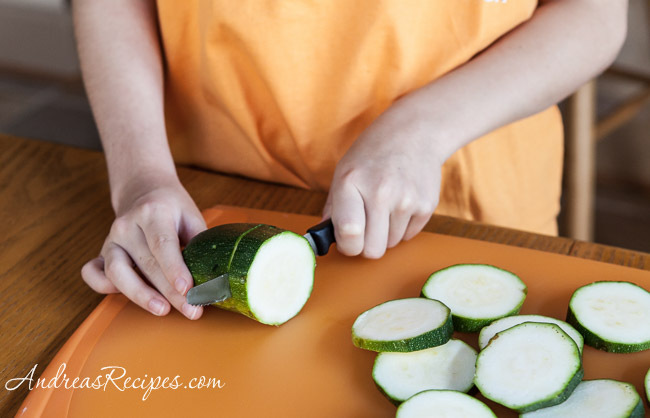 Slice the zucchini into thick slices, about 1/2-inch. If the zucchini is skinny, slice it diagonally. 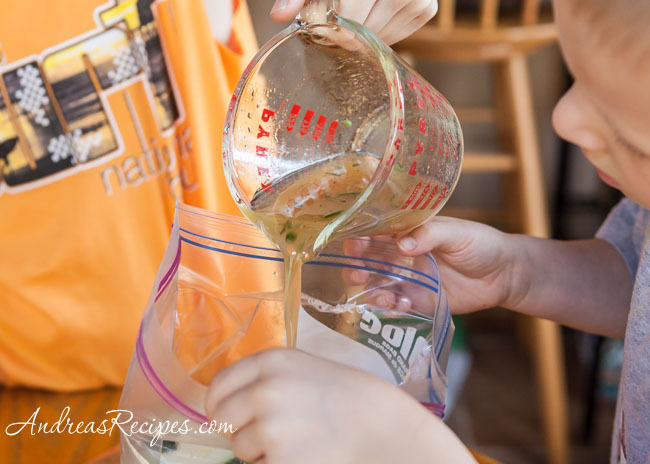 Put the zucchini slices into a gallon plastic zipper bag. Mix the marinade and pour it into the bag with the zucchini. 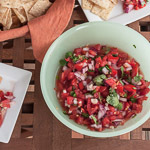 Allow to marinade for 2 hours or more, then grill and serve. 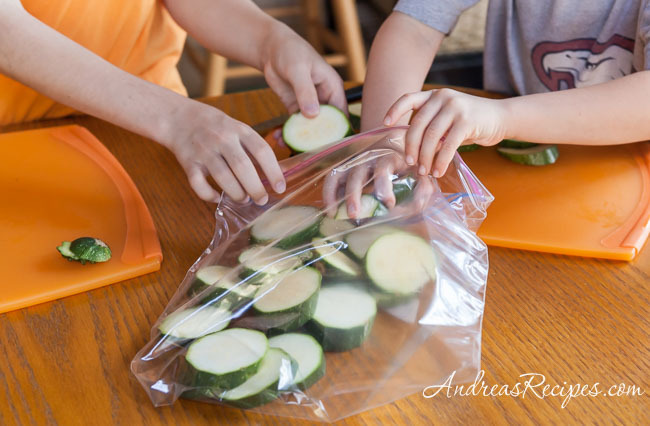 Put the sliced zucchini into the zipper bag. Mix the olive oil, lemon juice, white balsamic vinegar, rosemary leaves, thyme leaves, sea salt, and ground black pepper, and pour over the zucchini. Press the air out and seal, then refrigerate for at least 2 hours. Preheat the grill. 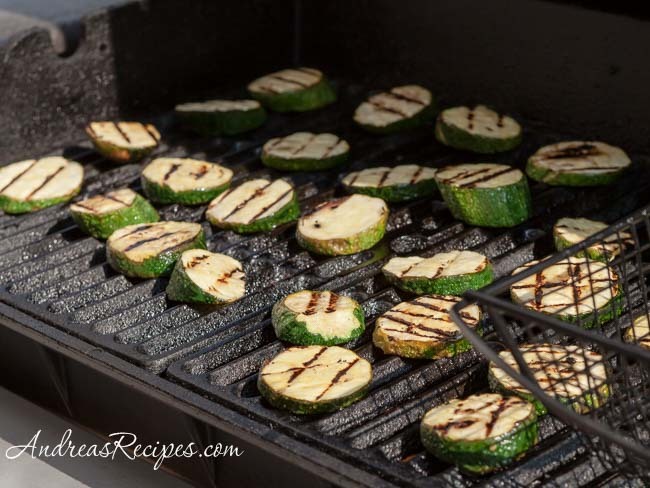 Rub the grill grates with oil and lay each slice of zucchini on the grill, reserving the marinade, and cook over medium-high heat, turning after about 2 minutes to 3 minutes. 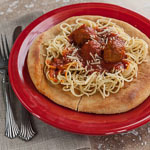 If you have smaller pieces, you can put those in a grill basket. Brush the reserved marinade on the zucchini slices after turning. Transfer finished zucchini to a bowl or platter and drizzle with the reserved marinade, then serve. Prep Time includes resting time. 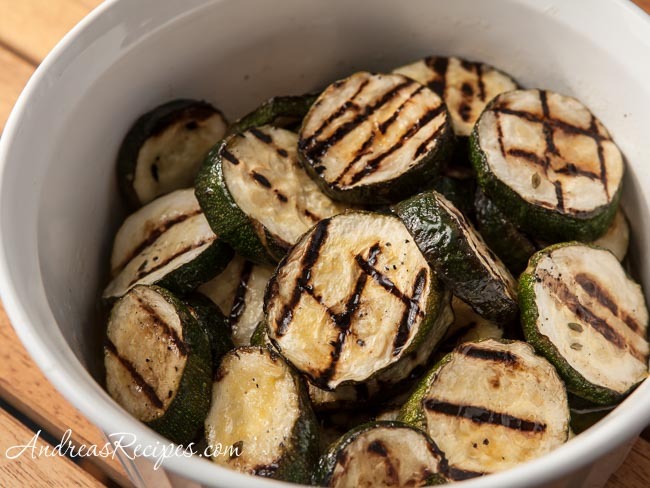 You can serve the grilled zucchini warm or at room temperature. Hi 😀 Thank’s for sharing this recipe, we like so so much! I did it already 4 times!